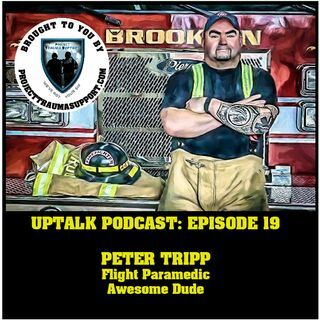 In this episode we talk to my longtime friend and colleague, Peter Tripp. Peter tells us about his struggle to become a Paramedic, and his diagnosis of PTSD later in his career. Peter also tells us about venturing into the world of becoming Mental Health Advocate, and public speaker. A truly special chat with an amazing Human Being. Enjoy!